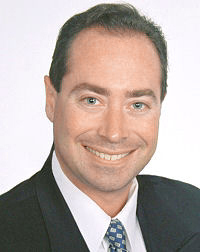 Since 1994, Craig Levine (The B-Line Broker) has been a real estate leader in the metro Atlanta area of Georgia as well as in the Florida Panhandle. Craig prides himself on staying abreast of the latest trends in real estate, not only in our target market area but globally, as well, and is always learning and innovating to try new ways to better serve his clients and customers. One of Craig’s greatest attributes as a business person is his ability to see a need in the industry and fill it. In addition to helping Georgians and Floridians buy and sell real estate for over 20 years, Craig is also owner and CEO of several diverse companies that seek to support the real estate industry. Yet even with multiple businesses and simultaneous ventures, Craig is never too busy to hand-deliver personal world-class service for all of your real estate needs. Over the past 20 years, Craig Levine has helped to shape the Atlanta real estate market by assisting thousands of clients with the purchase and sale of many varieties of real estate, including foreclosures, short sales, luxury mansions, second home purchases, commercial properties, and traditional home and condominium sales. Craig’s commitment to staying up to date with the latest technological advances in the industry has enabled him to quickly and efficiently serve his clients and keep them up to date with the market. As a real estate internet innovator and with web technology as one of the mainstays in Craig’s wheelhouse, Craig has developed and implemented over twenty real estate-centered websites which get tens-of-thousands of unique visitors each month, generating vast interest in his client’s properties. As a top producing associate of RE/MAX Greater Atlanta since 2002, Craig has the power of a nationally-recognized brand behind him. RE/MAX agents are graduated real estate specialists and are members of an elite nationwide network of industry professionals that seek to work together to be the best in the market and support each other. RE/MAX strives to ensure that all of their agents receive the best continuing education in the industry and offer constant training opportunities on all aspects of the business and the ever-changing market. When he is not delivering world-class personalized service to his clients, Craig is an avid hiker, camper, boater, golfer, world-traveler, cyclist, motorcycle-enthusiast, tennis player, and reader. He has written for numerous print magazines including The Seasonal, The Gazette, Cobb Living, Cobbonline, The Cobb Times, Atlanta Nation, Cherokee Nation, North Fulton Nation, Gwinnett Nation, The Southeast Business Journal, Lake Lanier Herald, Revue and News, John’s Creek Herald, Forsyth Herald, North Atlanta Business Post, as well as various online real estate related web sites. Craig is also frequently quoted in Georgia Realtor Magazine, Florida Realtor Magazine, the Atlanta Journal and Constitution, and the Atlanta Business Chronicle. With development of the Atlanta BeltLine, Craig and his team will be looking to serve clients seeking to buy and sell near the Beltline. The development of the Atlanta BeltLine is one of the most exciting ventures in our state’s history and will revolutionize the way Atlantans live, work, and play.